While the instruction is mostly provided by Augusto Frota, Alfred Sutter and Stefan Ruegg, in 2016 the academy has hosted an impressive list of world class BJJ players: Braulio Estima, Gezary Matuda, Mackenzie Dern, Rodolfo Viera, Leandro Lo, Marcus “Buchecha”, Bruno Malfacine, Diego Borges, the legendary Renzo Gracie and many more. And that was just in this past year! Augusto Frota has an impressive network of MMA and BJJ contacts across the world and his student are truly spoiled (in a good way) as they have world class instructors and competitors teaching and training with them every month. 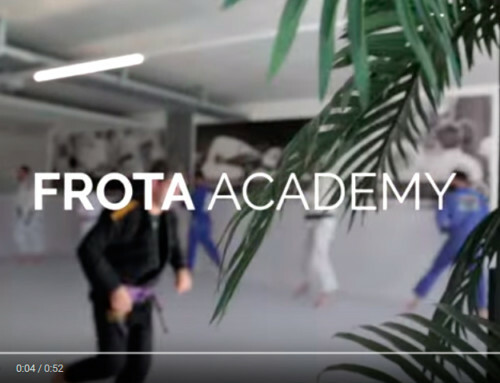 Come train in one of the world’s very best BJJ and MMA academies: Frota Academy in beautiful Zurich, Switzerland and experience Excellence in Martial Arts!